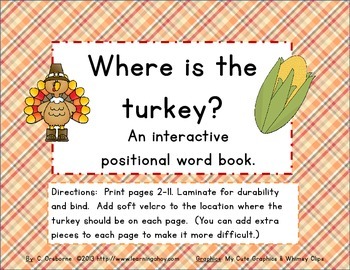 Positional word interactive book: Where is the turkey? 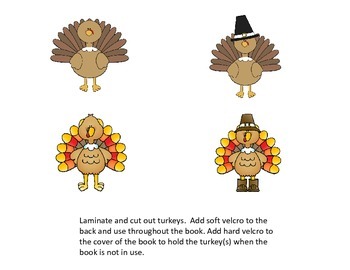 In this 9 page book, students move a turkey above, below, under, beside, in, between, on, or over various Thanksgiving themed objects. 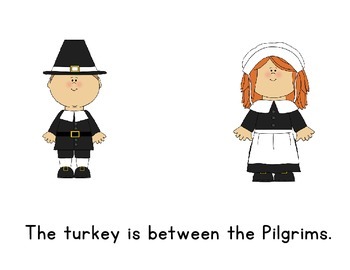 Great for students working on Speech goals and IEP goals for position words or prepositions. You can find students copies of this book in color and black & white by going here. The bundled version of this book and the student book is also available in my store or by clicking here. 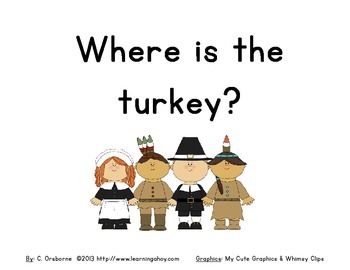 Visit my blog, Learning Ahoy!, for more freebies and teaching ideas.